Oh how we love our dogs! Here are some great spots where you can find dog parks for your pal to have some fun! 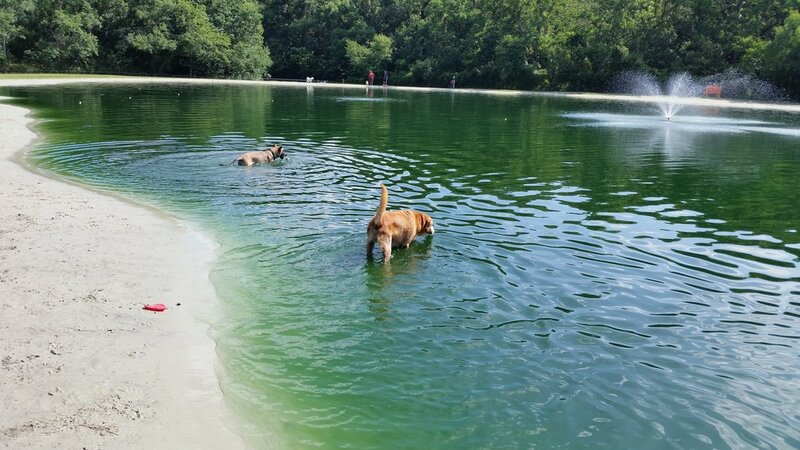 A huge 42 acre park on the south side on Salisbury Road called Dogwood Park has a man made lake for your dog to play in, walking trails, a wide open field, and play equipment. 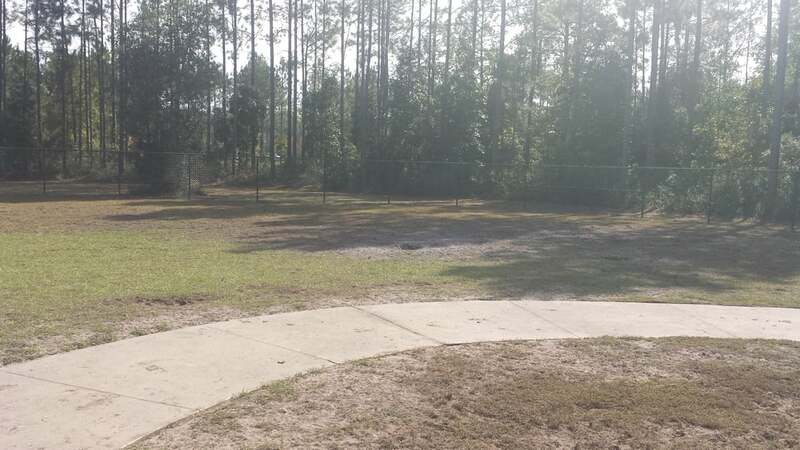 This is a park your pup can go without a leash and run freely. They have a dog shower to rinse off before getting back in the car too. It is open from dawn until 10pm (parts are lighted) 365 days a year, and there are different ways to pay (whether you want a membership or pay each time). Dogwood offers obedience and agility classes too! 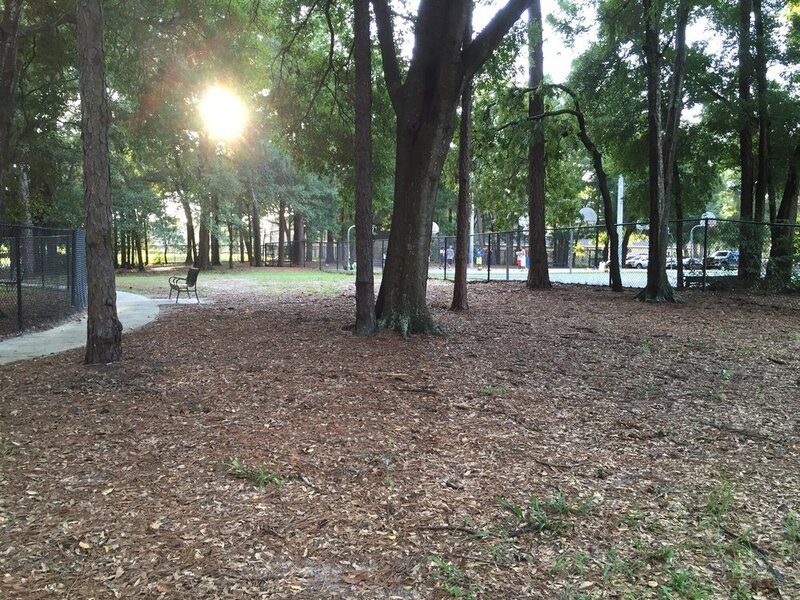 Another dog park is called Confederate Park Dog Park. This is located downtown on Hubbard Street on six acres and is open 8a-10p. It has doggie drinking fountains, leash-free space to run, and a separate area for smaller dogs. It is free to the public. The park has benches and not a lot of frills, but again, it's free. 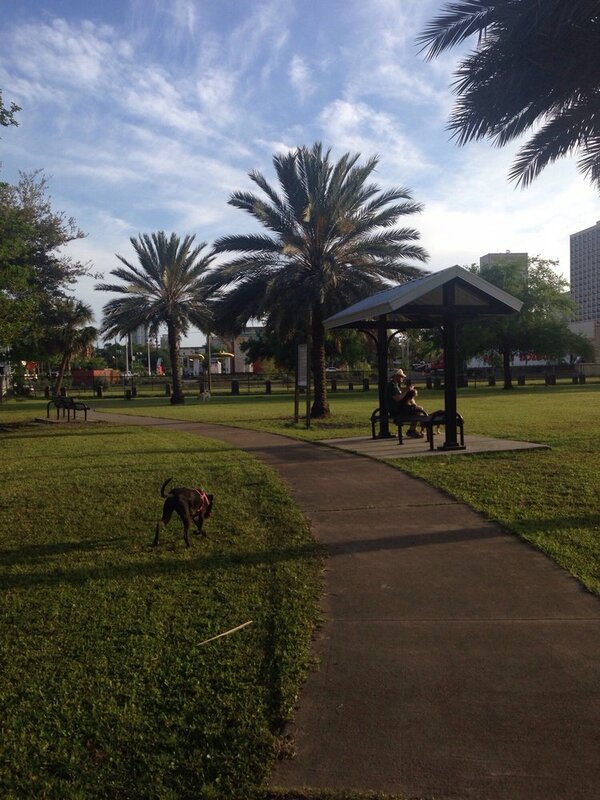 The next dog park is located on the west side on Roosevelt Blvd. called Tillie K. Fowler Regional Park. This park is huge and offers hiking/walking trails and is a nice getaway from city life with lots of trees and woods. Some of the reviews state it is a great shaded area (with our heat that's a huge plus! ), but beware of going after a rain storm and dealing with a muddy dog! This park is also free. Let's head to the north side on Sago Avenue where you will find Oceanway Park. This park also has a separate area for the smaller and larger dogs. There are no special features here at this park, other than the fact that it is designated for dogs, has land for them to run on, and is fenced. It is open from 6a-6p and is free. Looking for something more private? 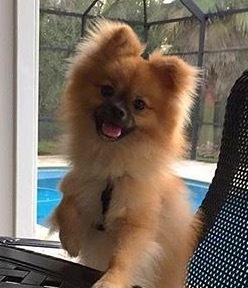 Check out Poochie's Park in Orange Park on Fountain Drive. 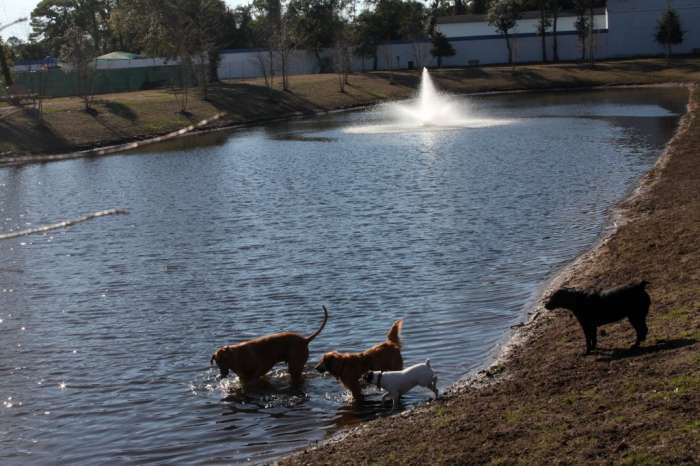 They have a pond, trails, and open space on their 3 1/2 acre park for your pup. One thing I like about this park is you are required to bring a an updated shot record. If you don't have that, they can help you by sending you next door to a vet! Poochie's also has tennis balls and frisbees on hand! Some parks make you pay "per dog", this one is a flat fee of $10 a day no matter how many dogs you bring in (*and your first visit is free!). You can also choose to have a membership. This one stop shop also has a boarding facility and a pet spa! 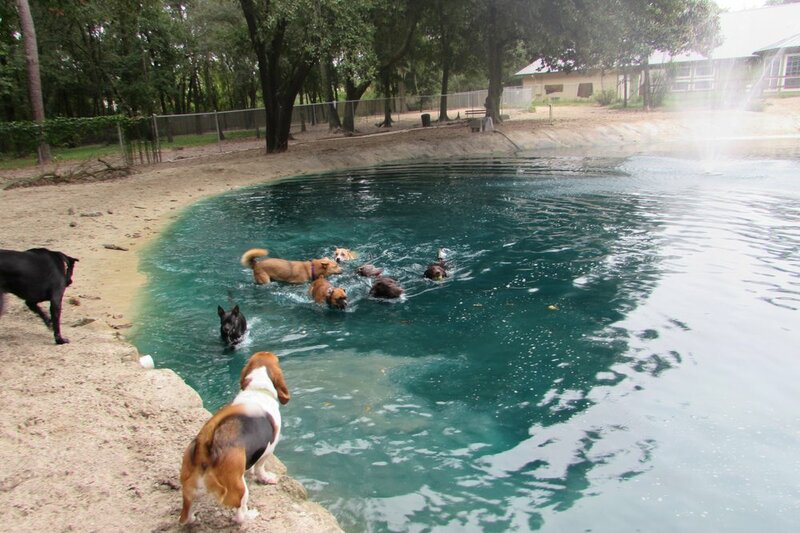 If you live at the beach check out Paws Park in Jacksonville Beach on Penman Road. It is open from 5a-10p 7 days a week and parts are lighted. You do need to be a member to go to this and the cost from what I could find is about $50/year. The website does not work but sends you to their Facebook page. They also keep the smaller and larger breeds separated. 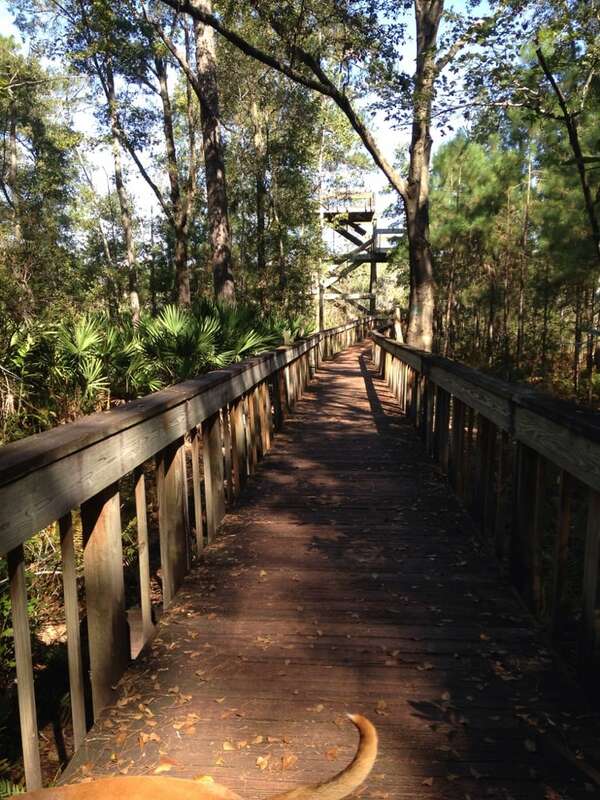 This park is in St. Johns county and is called Veteran's Memorial Park, on Veterans Parkway. 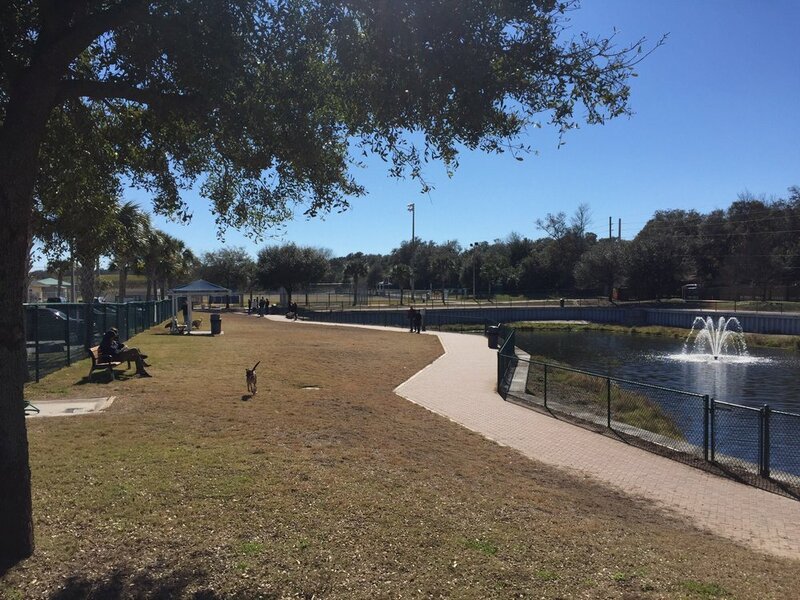 It is not a designated dog park as it has a skate park, tennis courts, and soccer and baseball fields. Overall, this 3 acre area is a nice, free place to take your human children to play as well as your doggie children. Along with the other aspects of the whole park being that is more than just a place to go with a dog, it's a nice place to go. Back to the beach, this time Atlantic Beach, is the Atlantic Beach Dog Park located on Aquatic Drive. You need to fill out an application and sign a waiver to join, and sign a paper that states you read and will follow the rules. The fee is $50 for one dog, and $25 for an additional dog. Also, there is supposed to be improvements to the park that is due to be completed by October. We would love to hear about your experience at the dog parks...likes, dislikes, and advice for other dog owners!